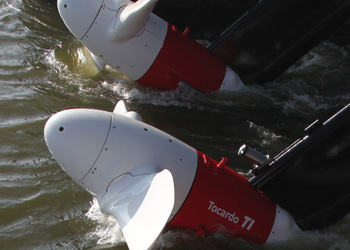 Tocardo brings innovative Dutch water technology to a whole new level with the Universal Foundation System, UFS. 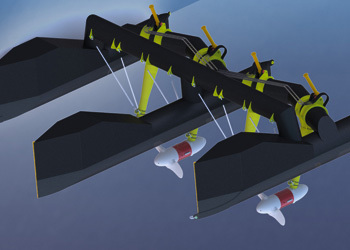 The UFS is a fully integrated 1,5 MW tidal power solution, with five Tocardo T2 turbines on a semi-submersible U-shaped floating platform. 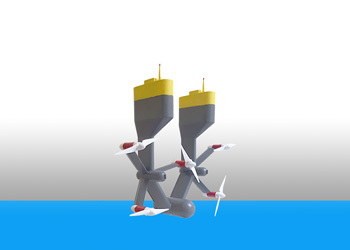 The UFS is ideal for the implementation of multi megawatt offshore tidal energy farms because of its proven turbine technology, easy installation low service requirements.